This is a beautiful caricature of a map depicting the continent of Europe. 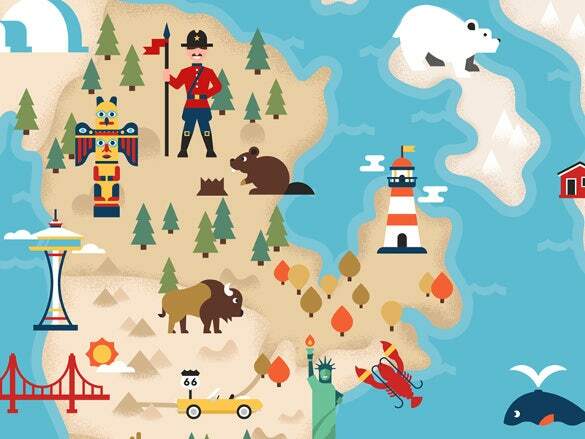 The countries here are portrayed as giants, trolls, lions, beasts and snakes. This is a fantastic illustration of the Europe map. 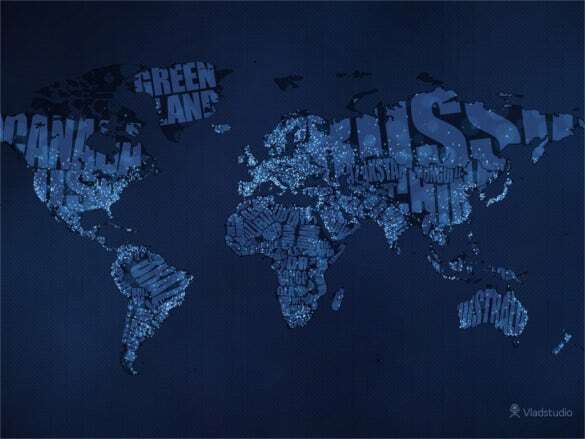 This is a beautiful and well thought out typographic world map with city lights and night colours. 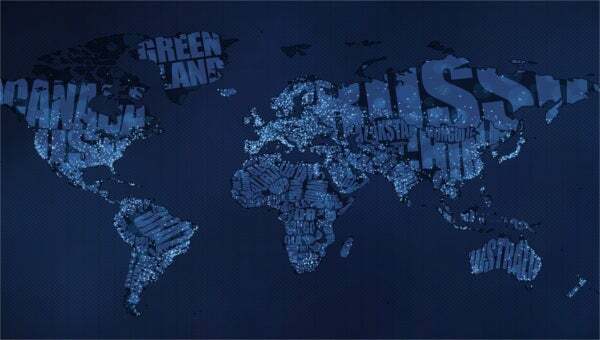 It is a beautiful variation of the world map, were continents are drawn with the name of their countries. 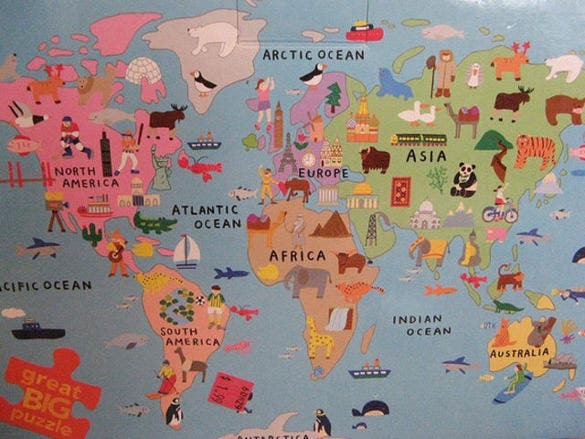 This is an illustrated world map for kids that would eventually turn out to be a play mat. The map has various fun illustrations on it. There are different types of animals, trees, buildings, bridges etc. This is a beautiful painting. The world map in this painting is drawn by using water colours with a blue hue. The colours dropping, gives this painting a whole new edge. You can download this template. This is a beautiful painting of the world map. The map is here is made by splashing colours on a blank canvas. Different colours are used to make this painting which makes the whole thing pop out more. This is a very innovative painting of a word map. 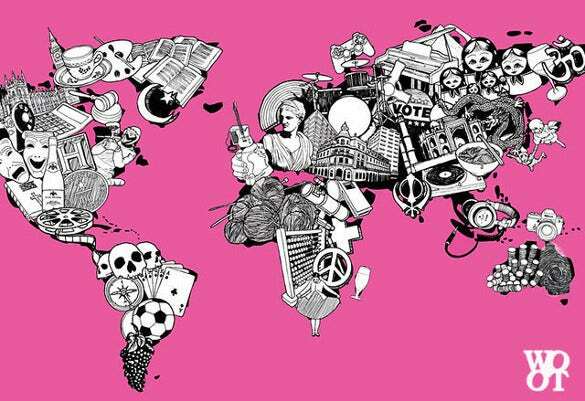 The map here is drawn on a pink background. Different objects are used to make this painting. Random objects are used such as teacups, football, camera etc. This is a free interpretation of the 13th century world map. This is a very innovative painting. You can download or print this on a hard printing paper and use it according to your requirement. 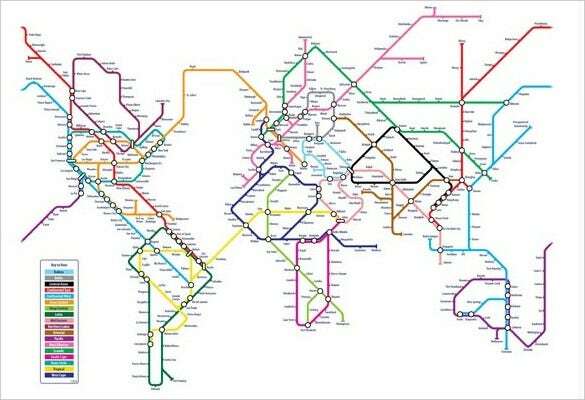 This is a very innovative representation of the World map. 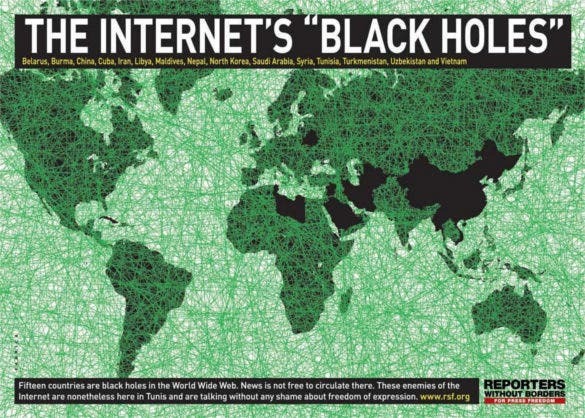 Fifteen countries in this world are said to be the black holes of the World Wide Web. These countries are indicated with black while the rest are indicated with green criss-cross lines. 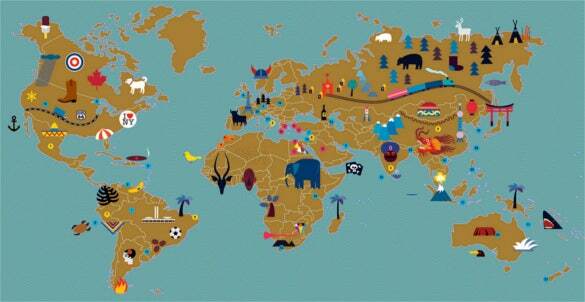 This is a great representation of the World map. 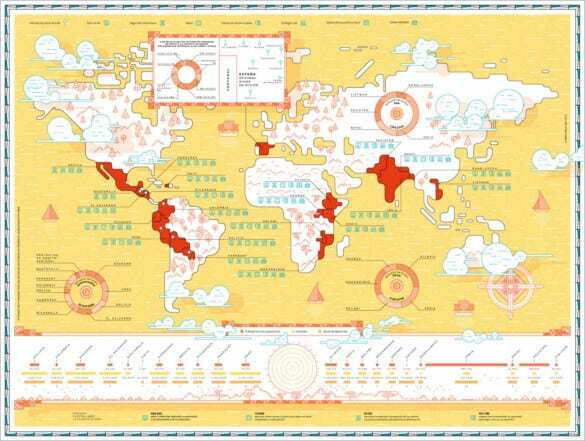 This is a puzzle of the world map where different countries are illustrated by a symbol that represents their country in some way or the other. This is a great gift for your little one. This is an ingenious piece of art. 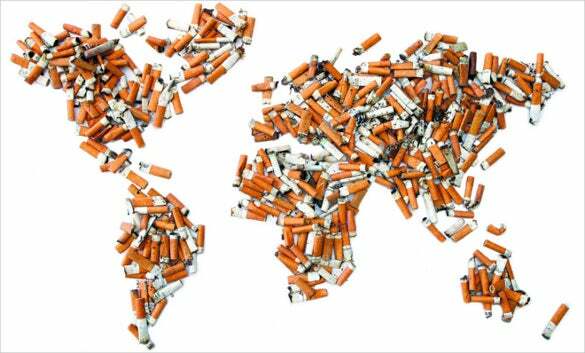 Here the world map is designed by using a number of cigarette butts. Who would have thought of doing that? This is a very innovative and a well thought out painting. Artists are quite innovative. They come up with different ideas. 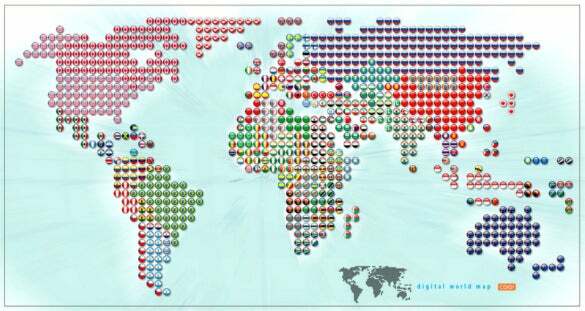 This is a cool world map which is actually the annual report of a Spanish NGO called Ayuda en Accion. 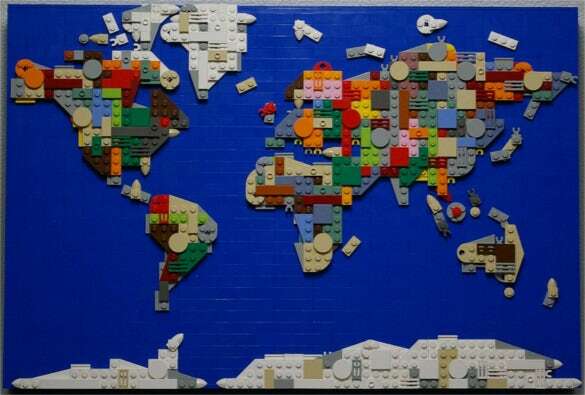 It is an inventive way to create the world map. 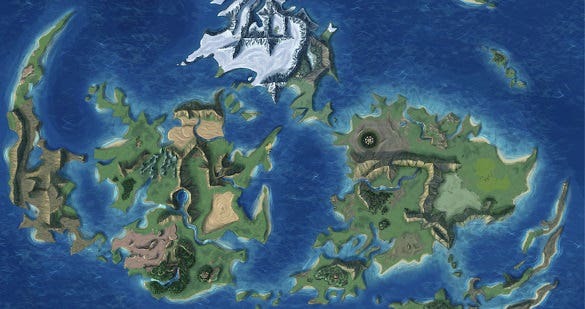 This is an artistic version of the world map. 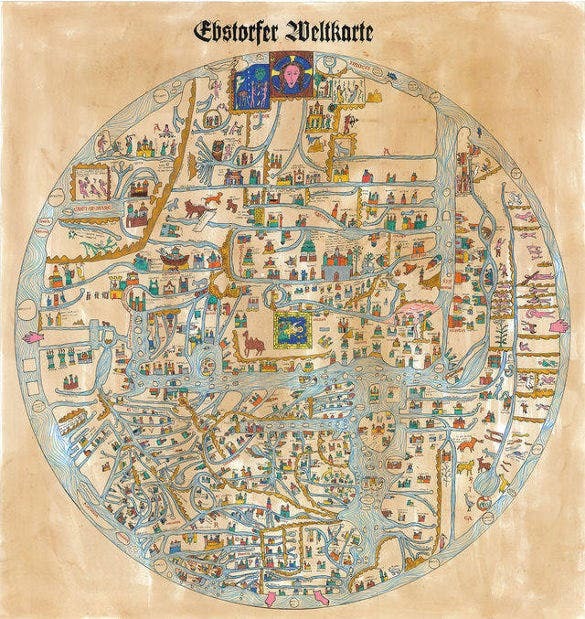 The map here is drawn using different colours which makes the whole painting very alluring and catches the eyes immediately. You can download this template. This is a very different version of the world map. 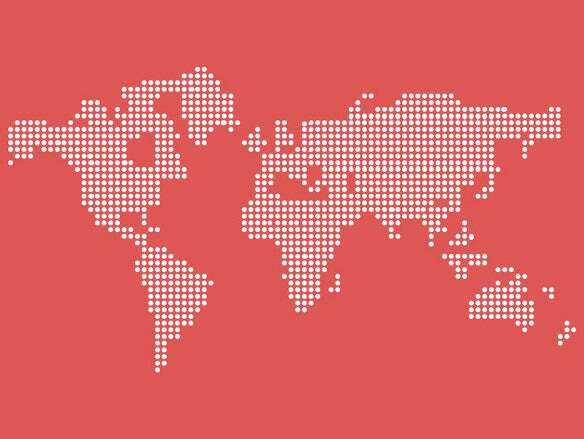 This is a dotted world map on a dull pink background. You can download or print this version and use it according to your requirement. Everybody loves maps. This is a mesmerising illustration of a world map made by using different colours on a black background. This painting is perfect for interiors. You can download or print the template. 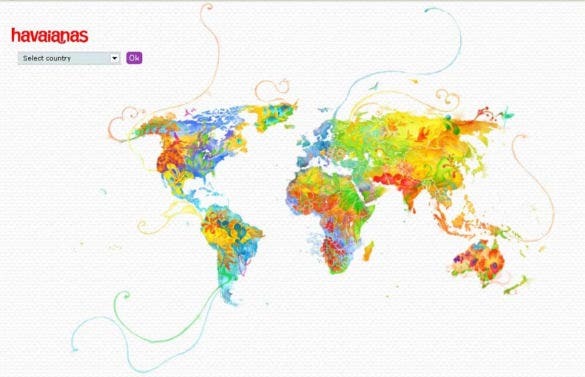 This is a gorgeous world map canvas art print. It is made on wooden frames and it perfect to hang at your house. This is a great interior piece. You can use it either at your house or hang it in your office. 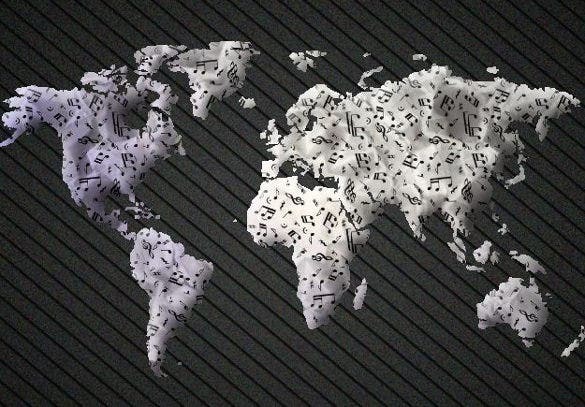 World maps are everyone’s favourite. 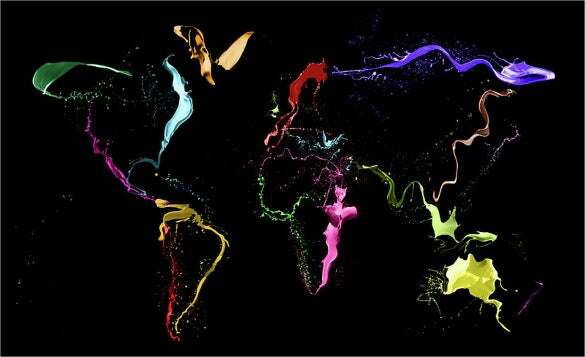 Here we see the different types in which a world map can be painted. Here, in these paintings, the world map is drawn in different innovative ways. Some used world colours, some used kid’s illustration and some used white vector dots. These paintings are great for interior.